The recent havoc wreaked by Hurricanes Harvey and Irma have left Texas and Florida in need of major rebuilding and repair efforts. It has also created the potential for an increase in workplace injuries and workers’ compensation claims. In West Palm Beach, Hurricane Irma’s destructive winds caused significant damage. Dozens of people had to be rescued from an apartment complex after wind damaged the roofs of two buildings. Water flowed into several apartment units and one of the roofs caught on fire. Even though the city had taken all public safety vehicles off the road because of the hazardous hurricane conditions, firefighters still rescued the apartment complex residents. The apartment complex is only one example of repairs needed in Irma’s wake. While such rebuilding projects will provide plenty of work for Florida construction workers, experts fear that these and other workers will be exploited by employers eager for quick completion rates and greater profits. Not to mention the fact that many construction workers are undocumented, which makes it less likely that they’ll report abuses or seek workers’ compensation benefits for workplace injuries. State and city emergency workers also face greater challenges during and after a hurricane. But Florida is one of only a few states that doesn’t have workplace safety laws for public sector employees, and the federal Occupational Health and Safety Act (OSHA) generally doesn’t cover public employees, which means that Florida’s emergency responders do not have occupational health and safety protections. (OSHA requires employees to provide workers with a safe work environment.) However, all public employers must have workers’ compensation insurance coverage. Seek medical attention and report the accident to your employer as soon as possible, but no later than 30 days after the injury occurred. If your employer does not report your injury to the insurance company within seven days after learning of it then you have the right to report it to the insurer yourself. If your claim is approved, then you should receive your first benefits check within 21 days after reporting your injury if the authorized treating workers’ compensation medical doctor has you on a no work status. 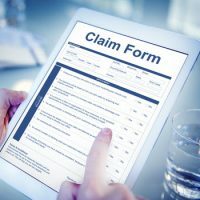 If your claim is denied, or if you are not receiving the benefits that you are entitled to, contact an experienced workers’ compensation attorney. All workers’ compensation attorneys work on a contingent fee basis so there is no charge for you to meet with an attorney to review your rights under the workers’ compensation system. Accidents happen, but you should feel safe going to work and reporting injuries to your employer. If your employer and/or the insurance company fail to follow Florida law then immediately contact an experienced attorney. Contact one of our workers’ compensation attorneys at Ganon & Hessen, P.A. today if you have been injured on the job in West Palm Beach. We will assist you in recovering the compensation that you deserve.